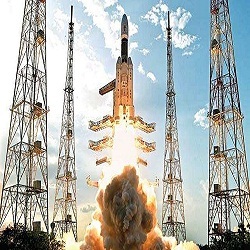 Indian Space Research Organisation - ISRO published an official notification for Recruitment of Scientist / Engineer (SC) for 01 posts. Eligible candidates can apply for this recruitment. You can view more details about this recruitment including No. of posts, name of post, Educational qualification, Age limit, Selection process, How to apply etc... You can also view official notification and other important facts about this recruitment e.g. Important links and Important dates. Interested candidates may visit our web-site www.sac.gov.in OR https://recruitment.sac.gov.in for detailed advertisement and filling-up of online application form. After registration take two print outs of the application summary. One print out is to be submitted with latest passport size photograph and documents supporting the data furnished in application on the date of personal interview /as and when required/asked for.